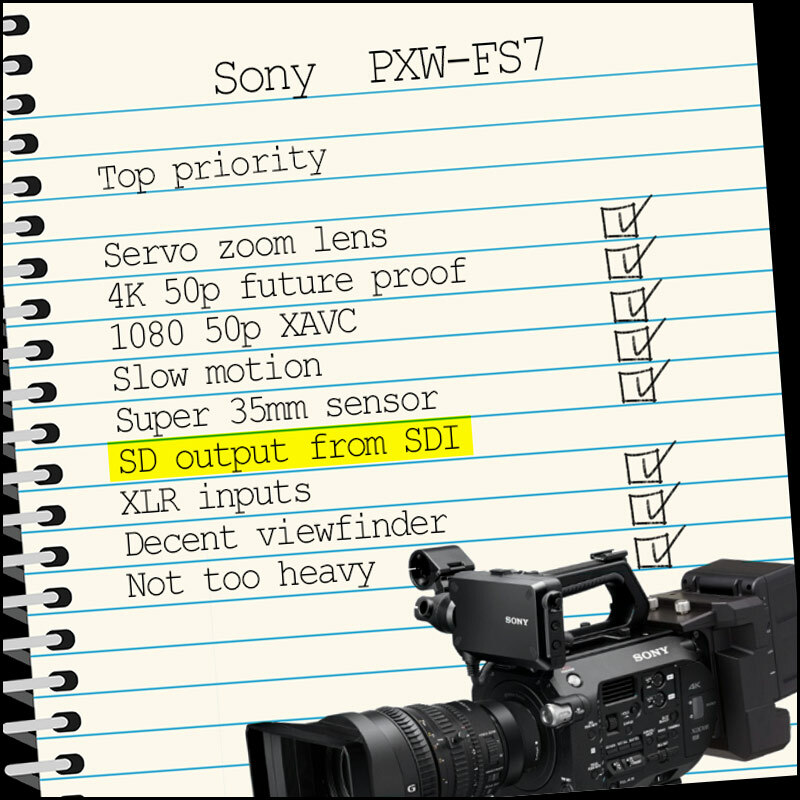 It’s a no brainer if you want top quality 4K and HD footage at a reasonable price there is only one camera on the market that ticks all the boxes…the Sony PXW-FS7. 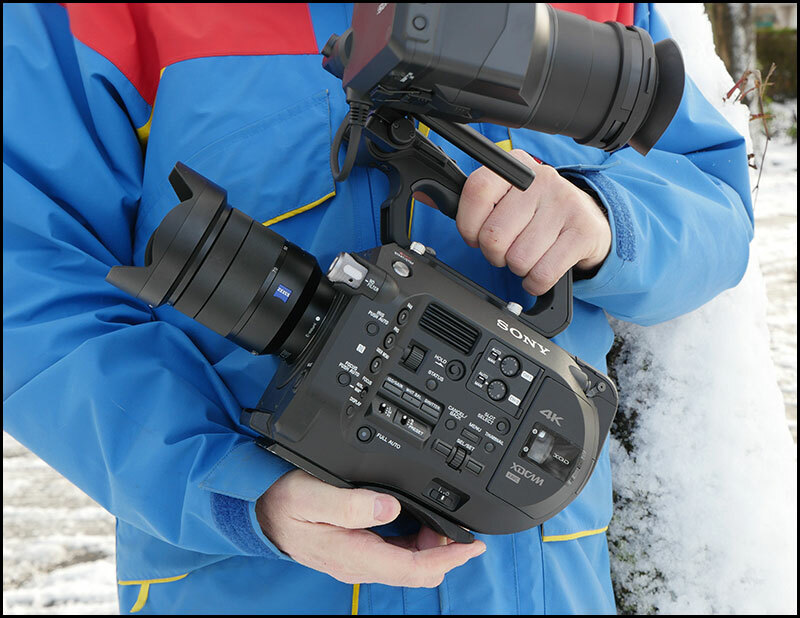 As you know I had a Canon C300 and I loved the pictures but 720 50P and off body XLRs were becoming very dated, not to mention 8bit technology. 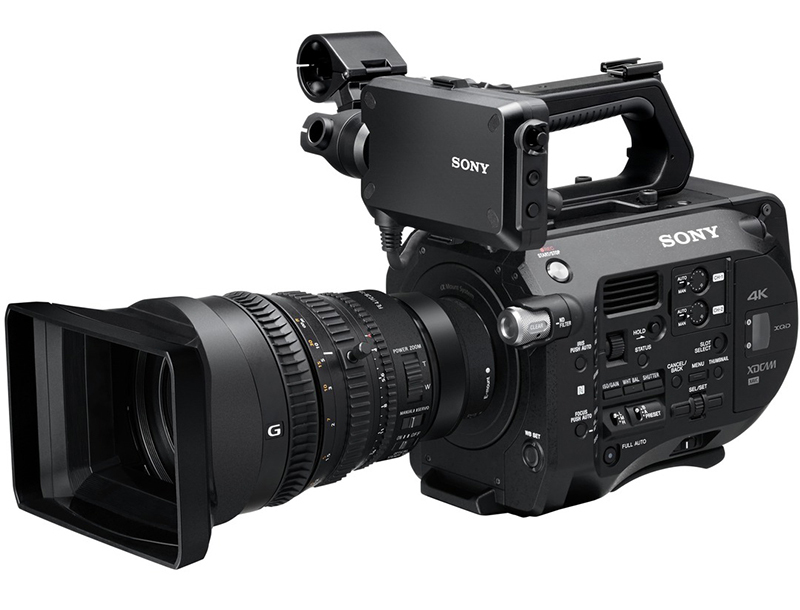 I would have lost a lot of value trying to sell a C300 once the Sony FS7 was announced. Once you see 10bit pictures you never go backwards. I had my two GH4s for nine months, selling one for a Sony A7s a couple of months ago. 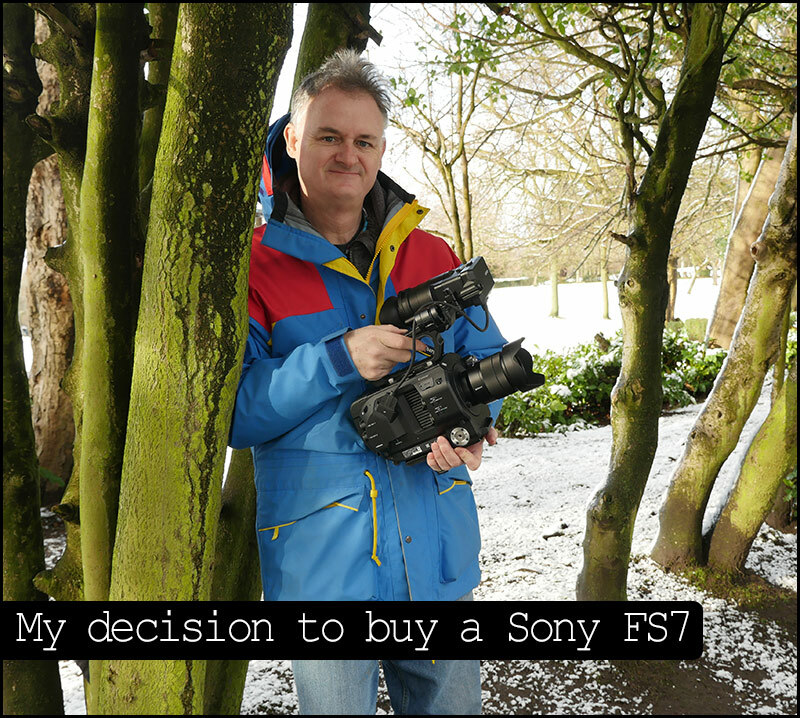 My main reason for buying the Sony FS7 was the servo zoom lens. I still have my GH4/YAGH as it will make a great second camera. 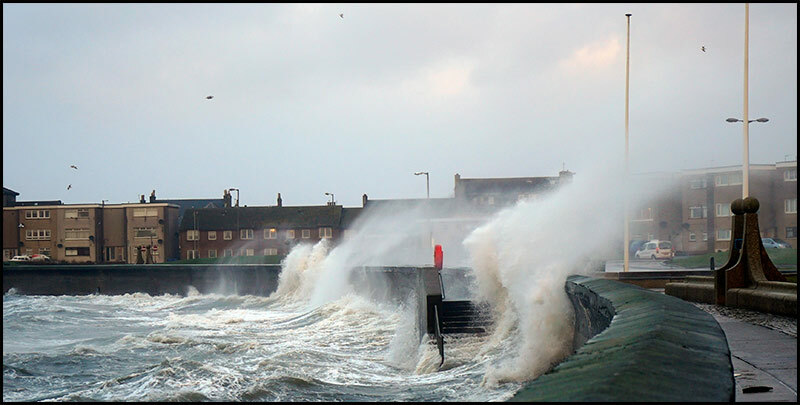 As yet Sony can’t supply the 28-135 f4 lens but I needed a camera for more than one filming situation. Your footage becomes stilted using prime lenses all the time, they give you lovely footage and nice looking interviews but sometimes you need a creeping zoom thats not achievable with a DSLR. The second reason is looks…yes, I am afraid we are in a “looks industry”. 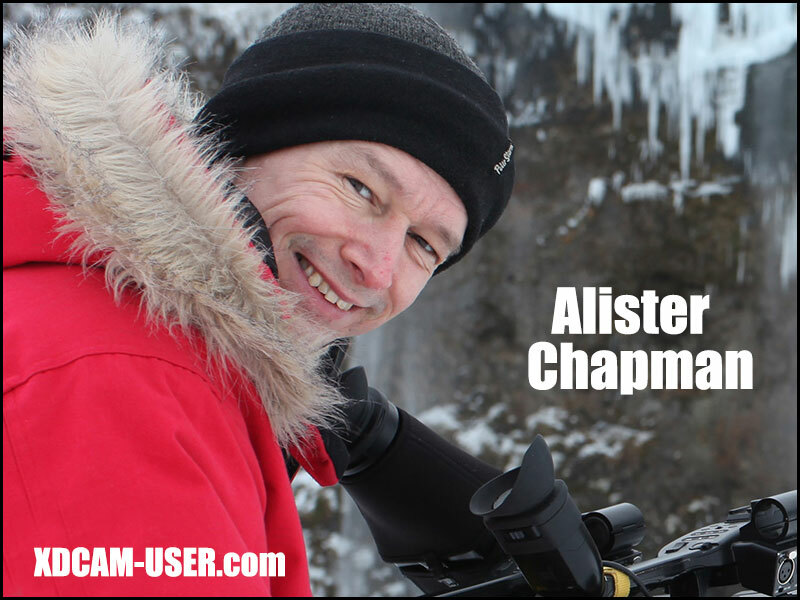 I have been filming all last year with two DSLRs and latterly a Sony PXW-X70. 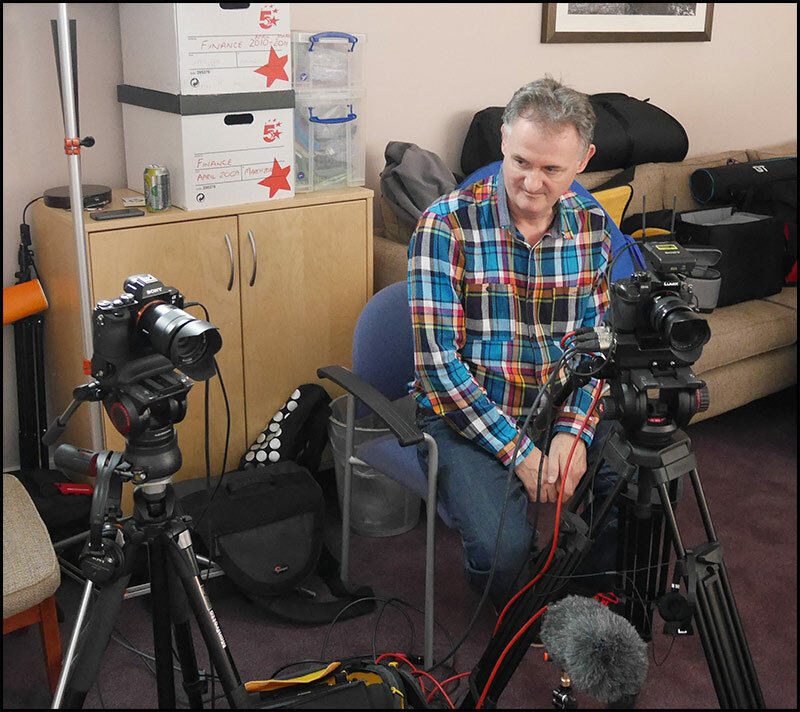 When you are filming an interview with two DSLRs to be quite frank there is no WOW factor, in fact it just looks like a photographic shoot, the end result…impressive, the look…not so impressive. 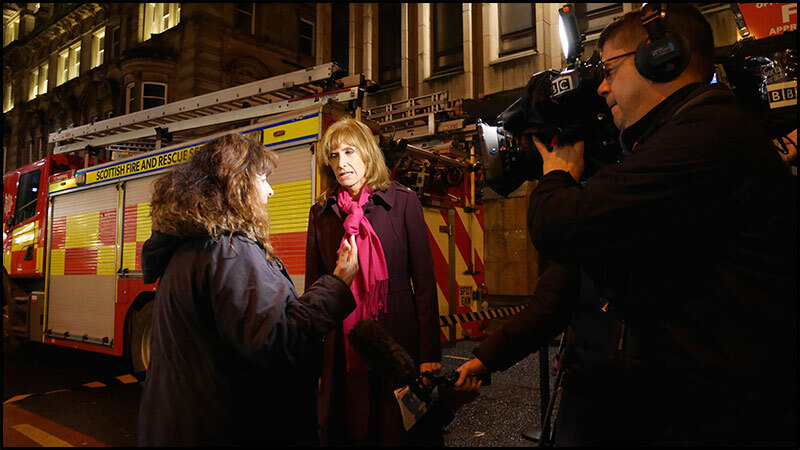 The final straw came just over a month ago when I was called by Channel 4 News to cover live inserts in George Square, Glasgow and the only camera up for the job was the Sony X70. 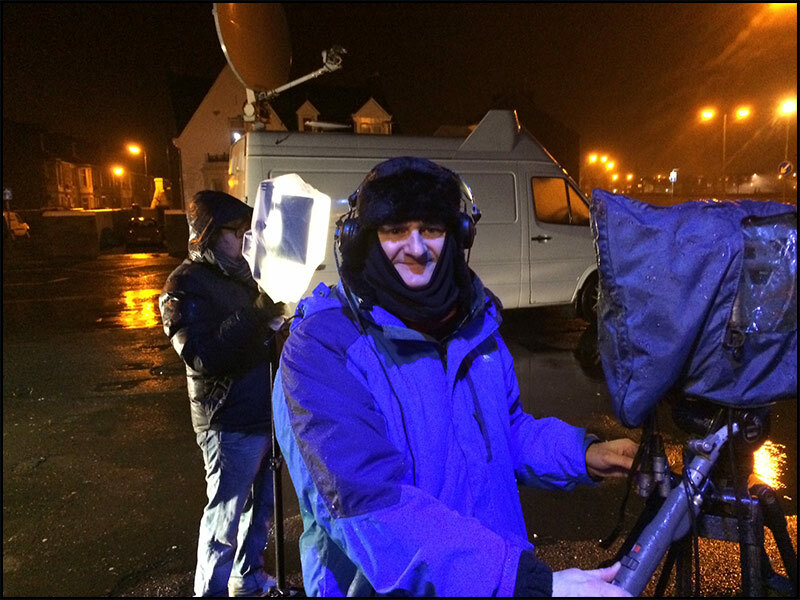 Everyone had Sony PMW-500s as you can see above, I felt very uneasy attending such a major news story with such a small camera. Don’t get me wrong the camera produced very comendable SD footage from the SDI socket into the satellite truck 50 meters up the road and Channel 4 were happy, but I decided there and then that was the last live news story the X70 was to be involved with. 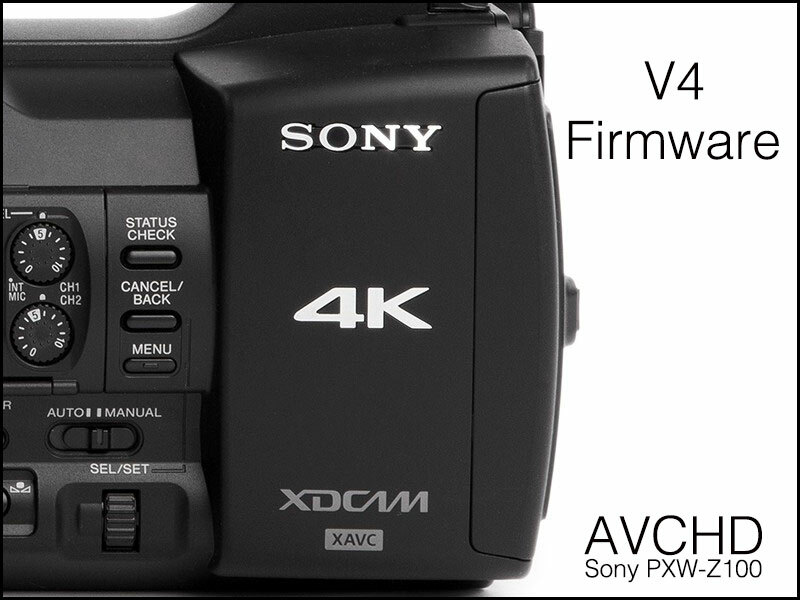 I needed a camera that gives me many options plus a servo zoom but I was not going to buy into a Sony PXW-400, so the only solution was the Sony PXW-FS7. 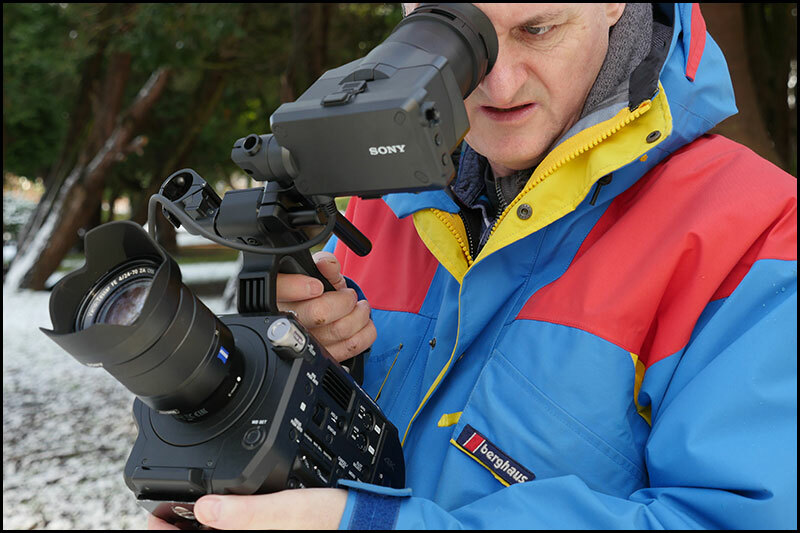 The Sony FS7 gives you the best of both worlds. 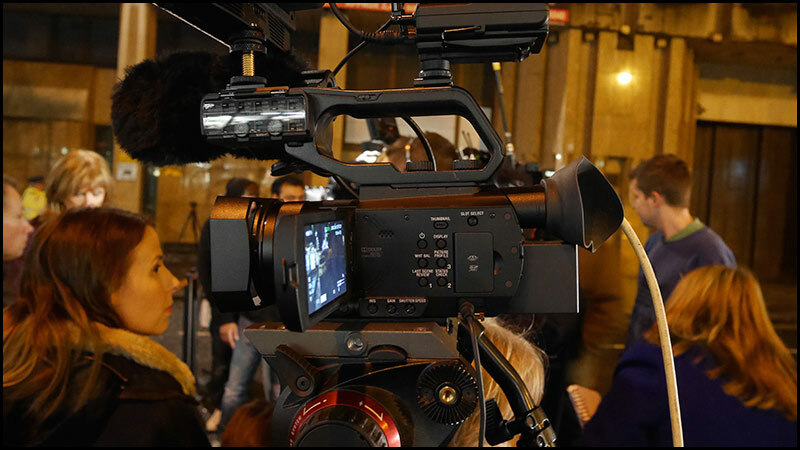 If you want to produce nice large sensor interviews or run and gun news stories the FS7 will do both, but with one caveat; most news organisations use SD video feeds into their satellite truck and the FS7 does not produce an SD signal from the SDI socket. I am hoping Sony can fix this via firmware as I would be reluctant to buy a mini HDMI to SDI converter just to produce SD. 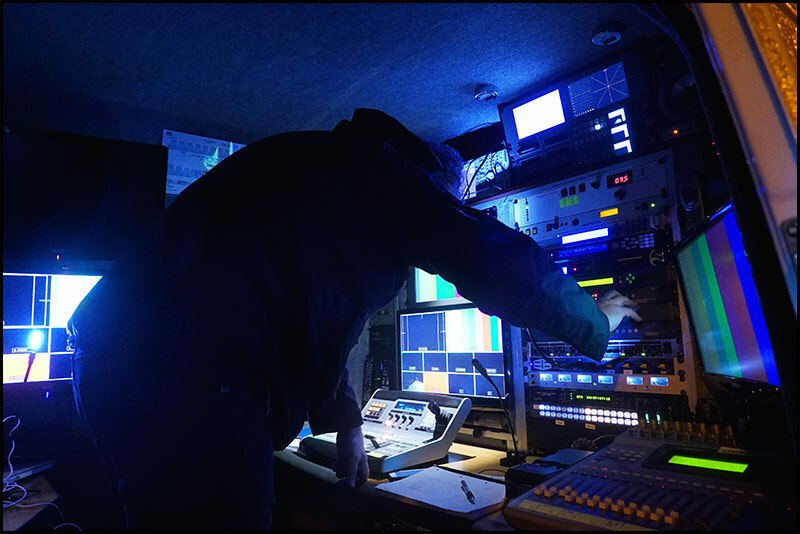 You can produce SD from the HDMI but once again broadcast satellite trucks only handle BNC connectors via your SDI socket. 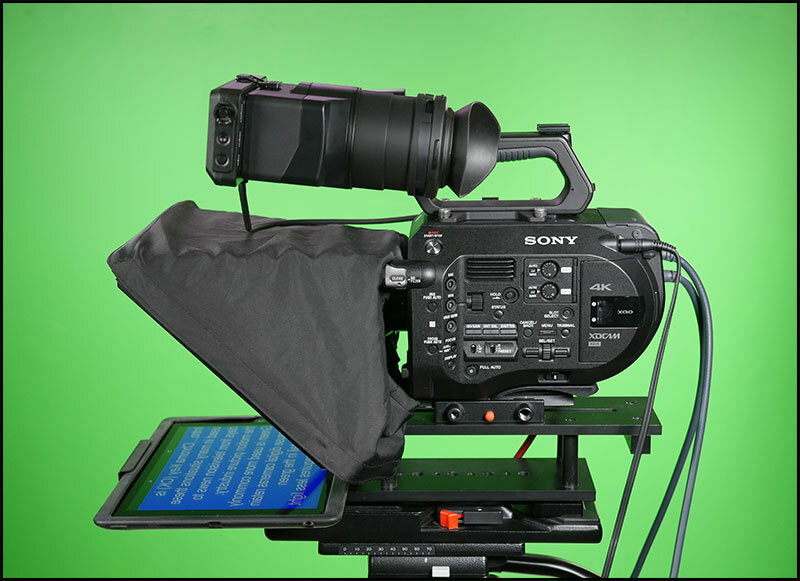 The great thing is the FS7 fits my prompter, which I was testing for its first shoot on Sunday for a new major client…now that looks impressive. Also found out that the XAVC-I mode:FULL HD 50P VBR, 185Mbps, MPEG-4 H.264/AVC is FCPX ready which is a major boost to me, this is the maximum HD 50p quality and it looks stunning. 2.) Formating “Memory Stick” media/SD card. 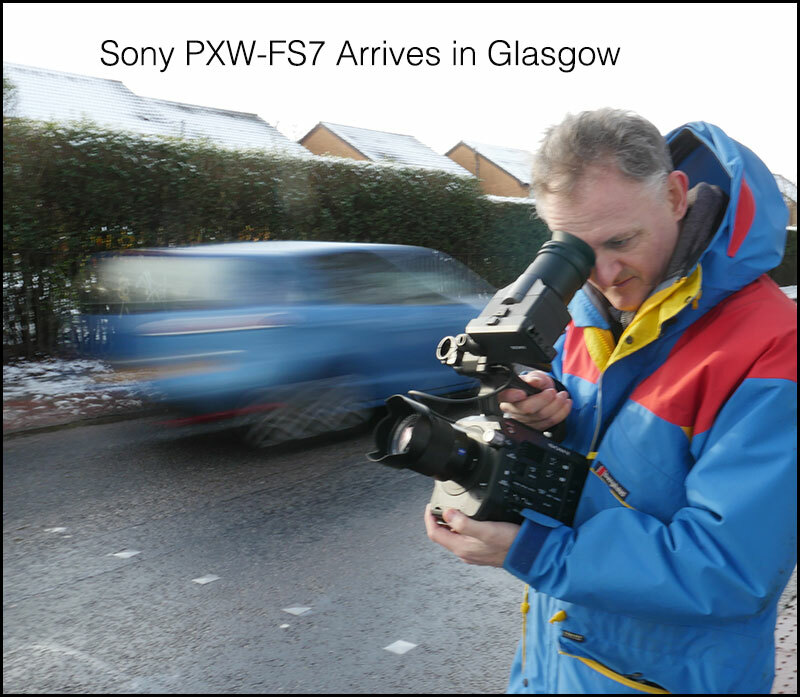 Finally my very own Sony PXW-FS7 arrived this morning…Fantastic…its the first large sensor camera to tick all my boxes. I will be getting the 28-135 servo lens sent up to me when it arrives and some 128G XQD cards. 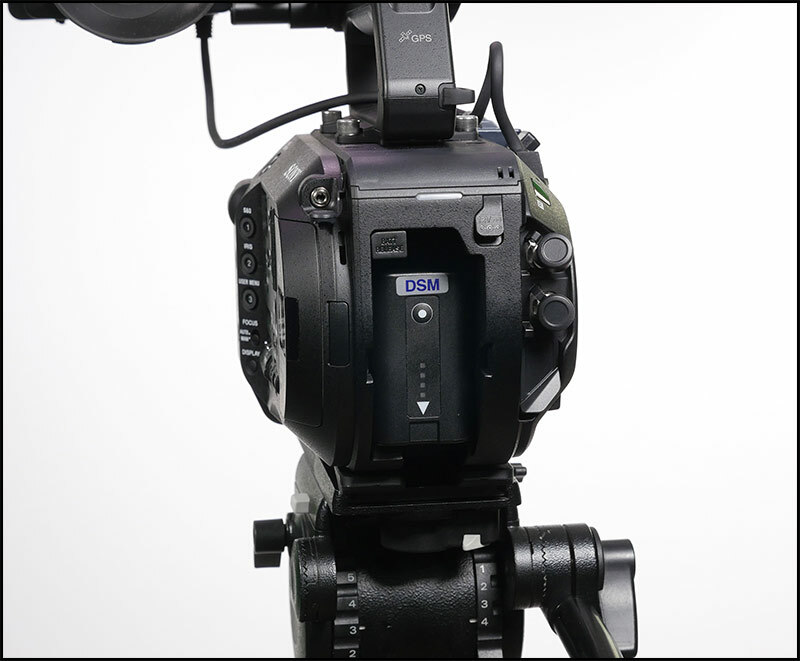 The camera is well made, very robust, as is the XQD media itself. 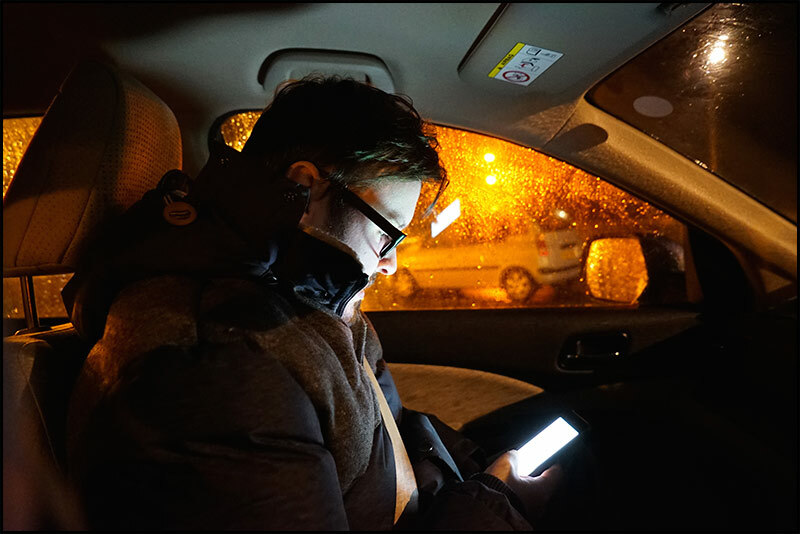 This is just a quick blog to whet your appetite but I have a string of blogs and a user review to produce but I won’t be doing the review till after BVE next month. From today you can now buy the Sony equivalent to the BP-U84 the DSM-U84 which is not only a better battery but costs a lot less than a Sony original. 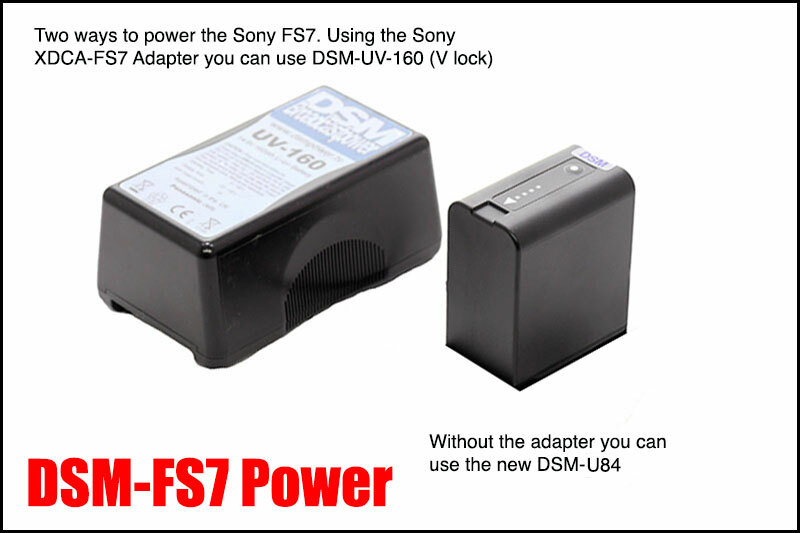 Note : You must specify if you are using a Sony FS7 when purchasing these batteries as the older U84 won’t work. The DSM U-84 battery is rated at 84Wh and is the same size as an original BPU-60 which is rated at 55Wh. But feedback from people using the battery, say it powers their camera longer than a Sony BP-U90 that is rated at 85Wh. This is a new over night charger and takes about 9-10 hours to fully charge 2 DSM BPU-84 batteries. 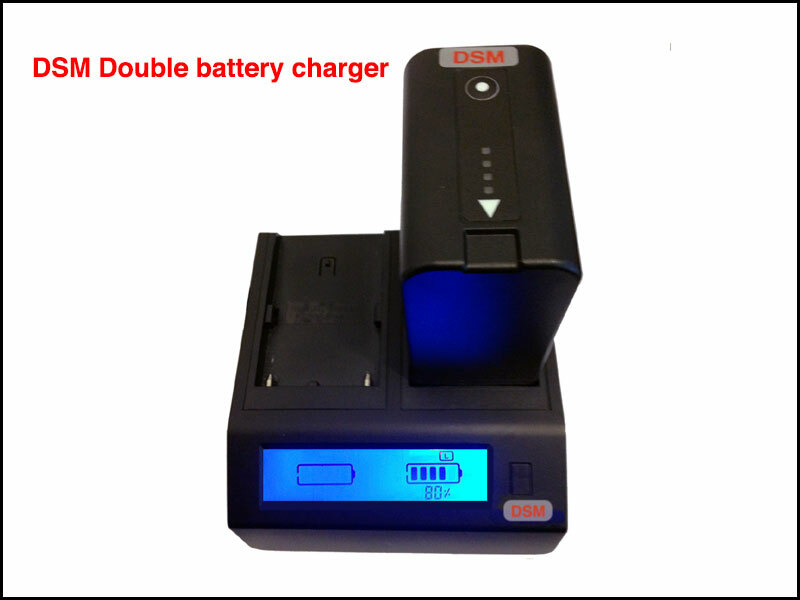 Pricing the DSM-U84 is £120 plus vat and the DSM-U60c dual battery charger is £39 plus vat. Interestingly the DSM U84 and Sony U60 are both the same size but under the hood the DSM gives you 121 minutes more and £43 cheaper ! The Sony original BP-U60 is £163 plus vat. 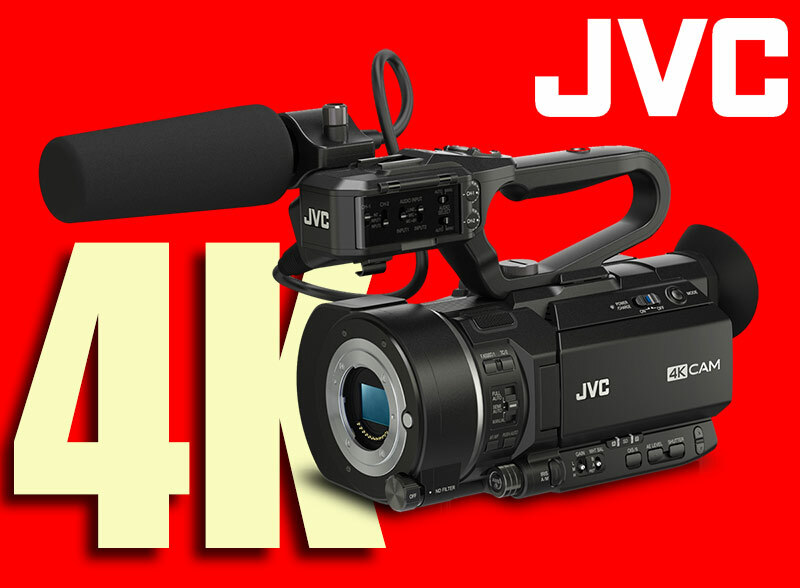 This 4K JVC camera looks to produce some cracking footage at £3500 its a snip for anyone entering the 4K market. It also utilises the micro4/3 lens mount so you are not going to be short of lens choices plus MTF have an adapter for Nikon mount lenses plus Metabones also produce a m4/3 speedster for Canon lenses. At £265 this digital wireless system is a snip RODE have set the bar even higher and they have cleverly integrated the antennas. I have just invested in a Sony Hybrid radio kit but you can be sure if this is as good as it sounds it will be part of my increasing RODE production kit as soon as it becomes available. 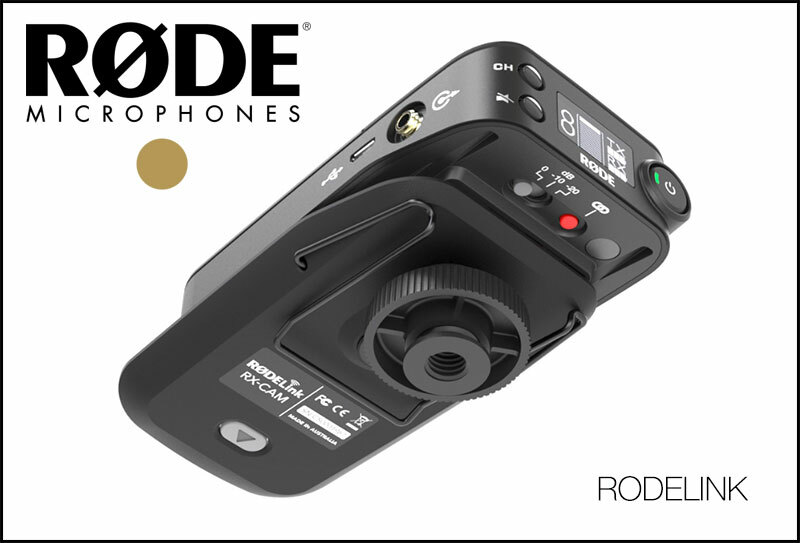 Question… I don’t understand why RODE have not included a 3.5mm to XLR cable with the new digital wireless system, it’s standard in every other radio mic kit ? 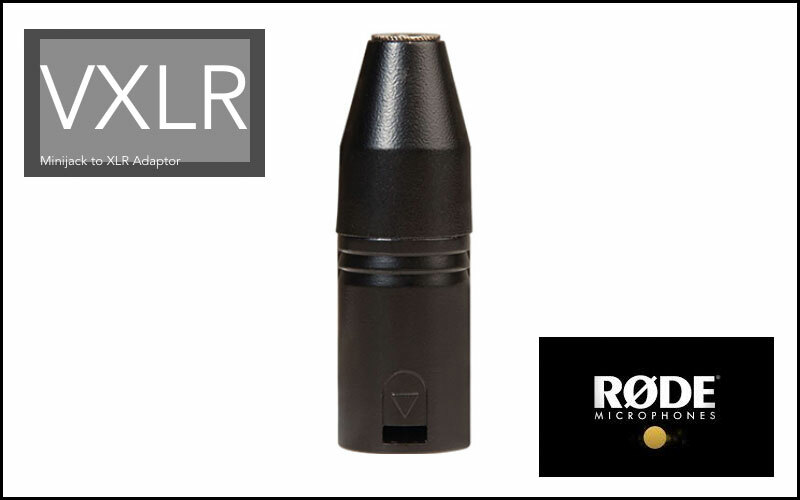 Answer…You buy the VXLR that allows you to connect your mini jack to XLR adapter. Having just received this FREE from Sony promotions for buying a Sony PXW-X70 I am assessing its picture quality over the GoPro 3 plus. Firstly can I add that you have far more presets via the GoPro menu than you do over the Sony. The GoPro can be set for UK frame rates like 25p and 1080 50p while Sony have taken the lazy mans menu and made it US frame rates as default but thanks to my readers I have managed to worm my way through the menu system to change it to PAL, this can all be done on my iPhone via the GoPro ! I do like the monitor watch but you soon get to realise the iPhone is a far better viewing tool. I think the GoPro 3 plus has many more advantages over the Sony not to mention the far more sophisticated menu system via your smart phone. Even comparing the two cameras underwater housings the GoPro 3 plus is 40m while the Sony is only 16m. 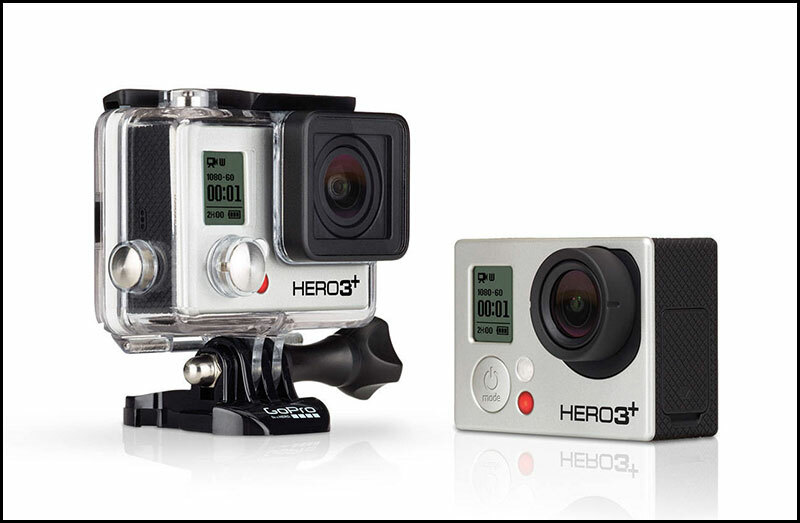 I do find that many cameramen/women become blinkered in the world of everything must come from the same manufacturer but there is no comparison between these two products the GoPro 3 plus is streets ahead. 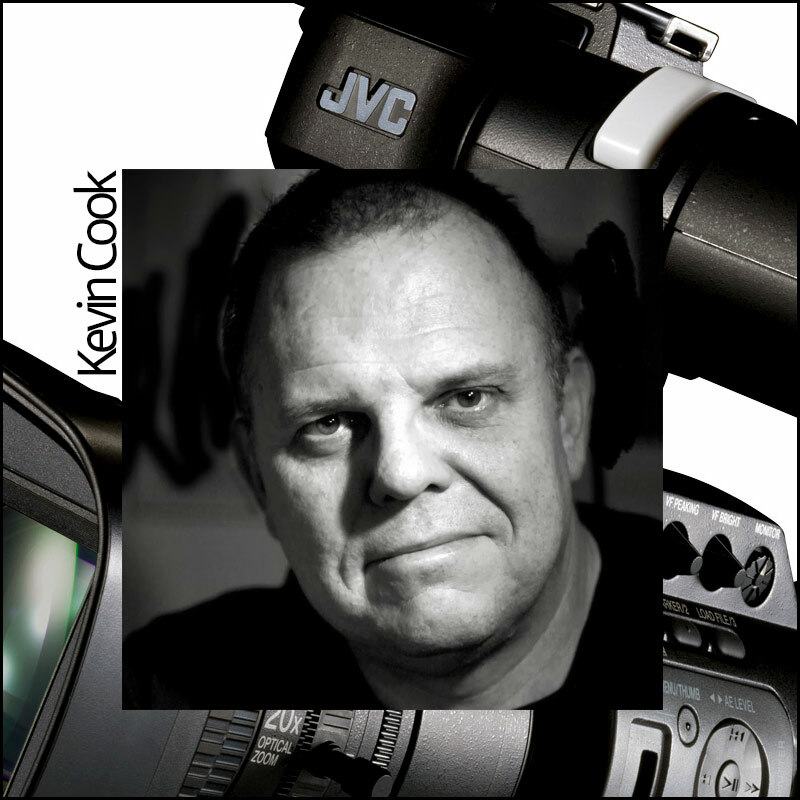 Kevin Cook “I’ve been shooting with the JVC GY-HM650 for over a year now and it’s become my go-to camera for many assignments. 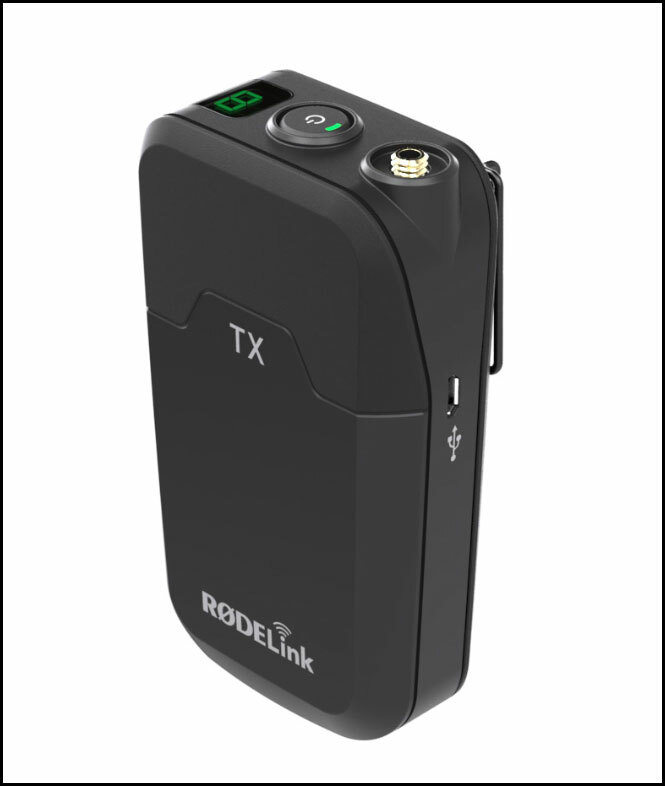 Being of handheld design, the camera is compact yet pro-feature rich, making it ideal for shooting conferences, newsgathering and any event where you need and all-in-one camera with professional connections and performance. 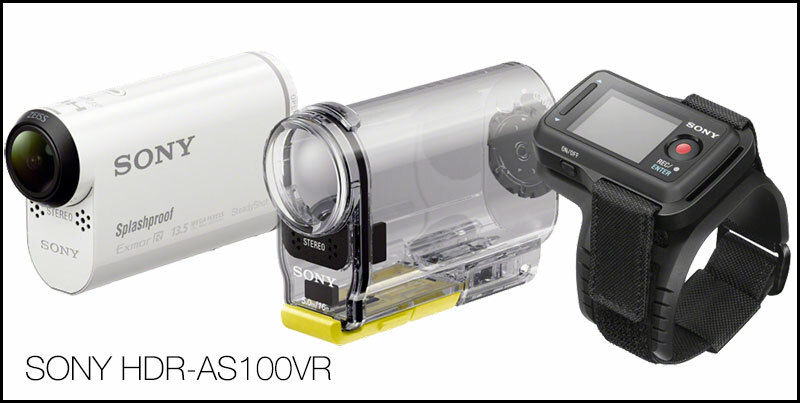 Handheld Vs Shoulder-Mount Video Cameras from Kevin Cook on Vimeo. 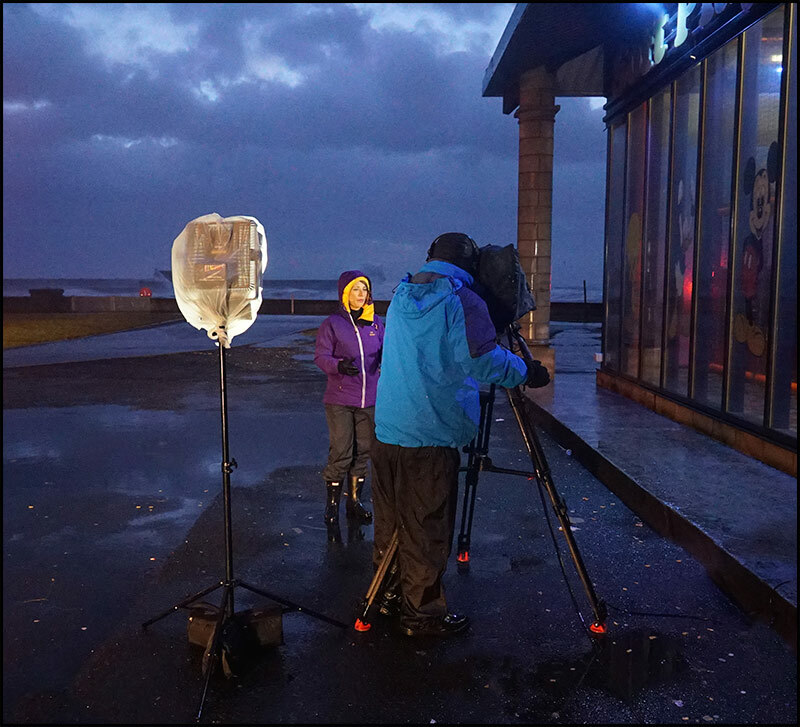 Arriving at 4.40am at Saltcoats this morning it was wild to do a live camera for Good Morning Britain. Scott checked the weather and it was to get worse as the day drew on. 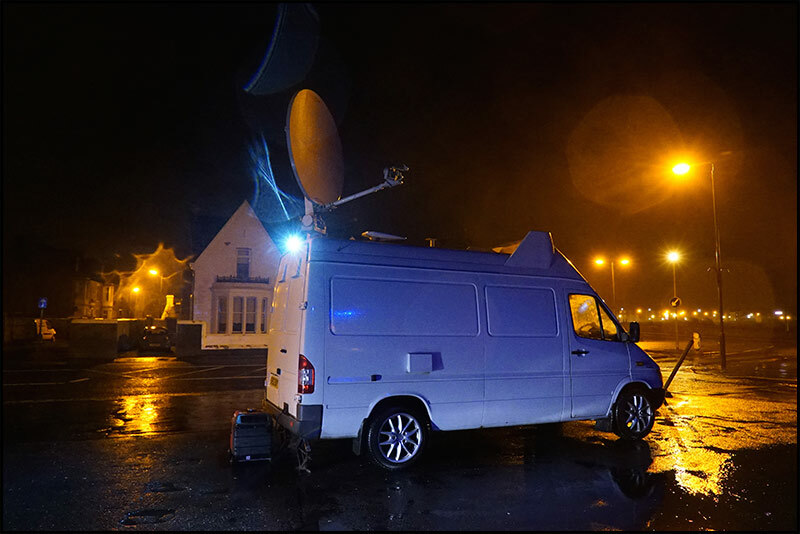 The OB truck was operated by Dave and he had a hell of a time teeing up the signal to the satellite and compound things not only the buffeting of the wind but the sea salt air was causing major problems, the truck would have to get a hose down after todays job. 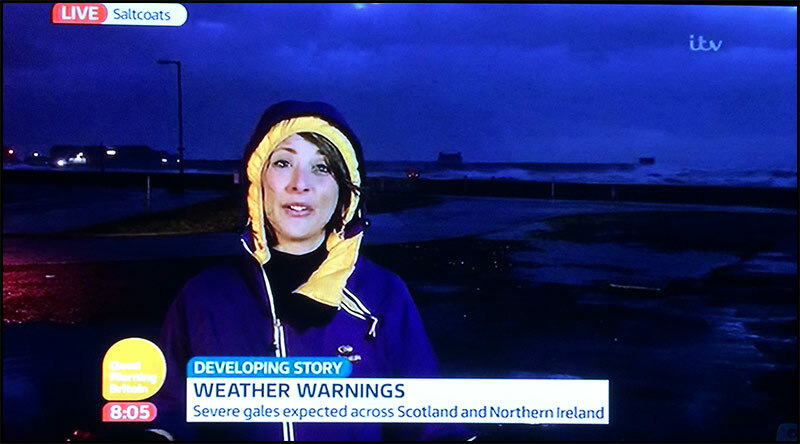 Finally we were on the air at just after 7am our reporter Katy Rickett had just landed from her honeymoon 3 days ago from 28 degree heat to baltic. 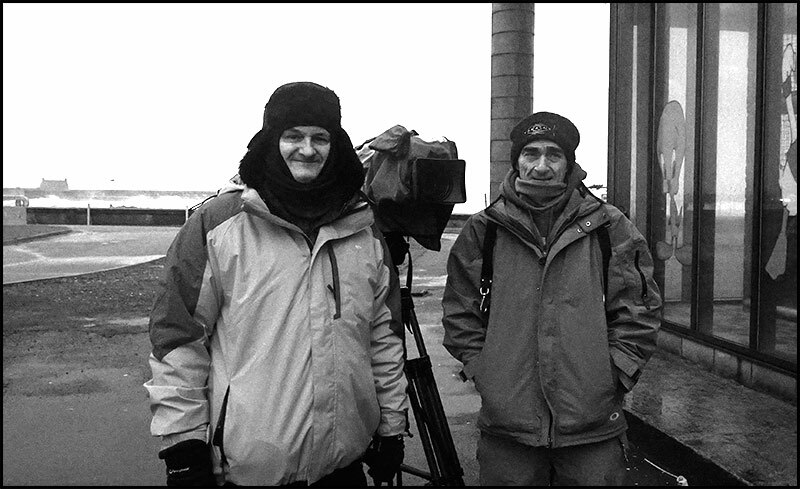 Myself and sound man Ian, the camera was a Sony HDW-750, as a wee aside the camera although covered with a rain cover had a constant mist of salt water battering in from the sea, my hands and face were covered in a layer of salt, this same salt that nearly shut down our transmission.